For those who think the all-new BR-V could use a bit more style, well there’s a Christmas surprise waiting for you at all Honda dealerships nationwide. 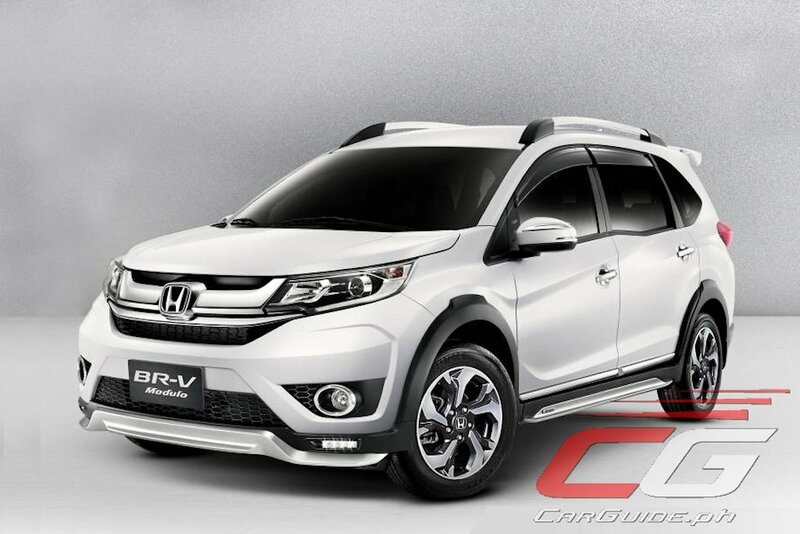 Honda Cars Philippines surprises everyone with the availability of two, yes, two new variants of the BR-V that carry a complete line of Modulo styling accessories. The entry-level BR-V 1.5 S is now joined by the 1.5 S Modulo which comes with a front under spoiler, side under spoiler, and a rear under spoiler. It also sports rear corner sensors and daytime running lights (DRLs) to promote safer driving. On the other hand, the BR-V 1.5 V Navi spawns the 1.5 V Navi Modulo that adds all the same exterior goodies found in the 1.5 S Modulo (front under spoiler, side under spoiler, rear under spoiler), but adds a tailgate spoiler and a shark’s fin antenna as well. Inside, it gets a side step garnish too. And like the entry-level Modulo variant, the 1.5 V Modulo also gets rear corner sensors and DRLs. Customers eager to see the all-new BR-V can now visit their nearest Honda dealership which will hold festive Open House events to commemorate the arrival of this latest model from Honda. Likewise, the all-new BR-V will also be on display at the SM Mall of Asia from today until Wednesday, December 14, 2016. A CRV face with a Mobilio body, this would've worked if it came before the Mobilio. Looks weird now, an admission of Honda of Mobilios ugly fish-looking front fascia. Wala pa rin camera? ano ba yan. Honda measures ground clearance based on the lowest metal point of the body. If that is the case, it shouldn't affect ground clearance. Honda label this unit as 7-seater SUV, Ha?? yes. have u been doing your reading before commenting?